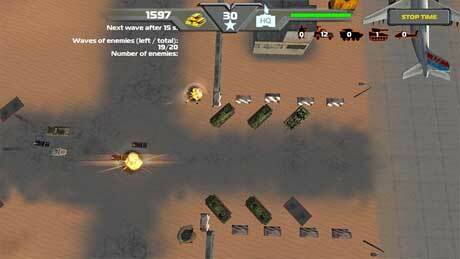 TD Global Strike is a new trend in the genre of Tower Defense, just after the start you will plunge into a dynamic 3D battle against hordes of attacking enemy units you! To pass the mission you will need all your skill and wit. 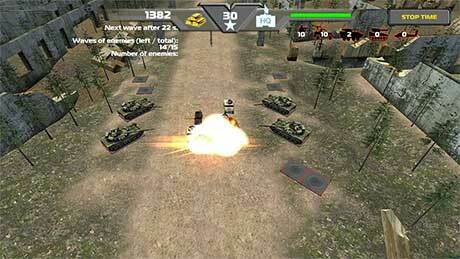 TD Global Strike uses the physical shooting bullets, so units can miss and you have to sweat passing this or that mission; The game also features pumping units – Earn stars and improve your technique! 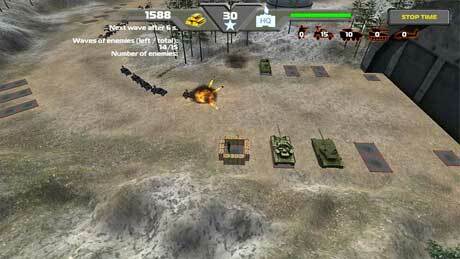 The TD Global Strike you do not have to miss watching the monotonous horde of creeping enemies, all attacking units are also shooting at you, so relax is not necessary, but any time you can stop the clock in a quiet environment to consider a strategy and put on the platform a new armored vehicles for protect your base. -You don’t depend on donate, i.e. the game currently does not have a domestic purchases. – Full 3D and practically free camera. – Interactive pause: pause and resume the game at any time. – Detailed statistics at the end of the mission.